When it comes to battling pathogens—from Ebola to the common cold—the first line of defense is a strong immune system. Without an immune system the human body would quickly be ravaged by microbial invaders. Immunity acts like a shield, keeping these would be intruders at bay. 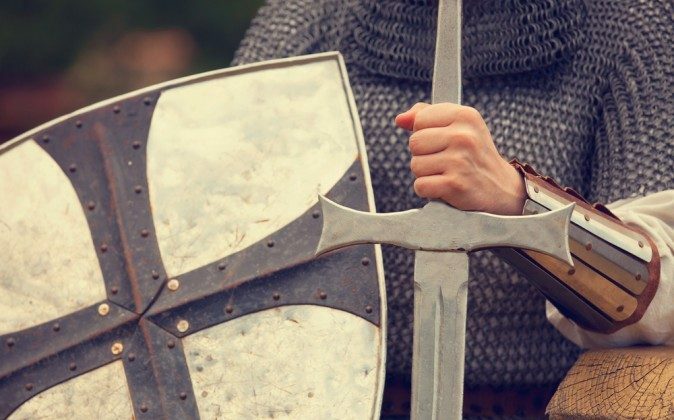 When our protection is compromised—either due to immunodeficiency disorders or just general fatigue and poor eating habits— the body becomes more vulnerable to an invasion. But when immunity is strong, we’re less likely to get sick. The immune system is made of various organs, tissues, and cells found throughout the body. Nearly 80 percent of our protection lives in the intestines, which is why gut health is vital to a strong immunity. The intestines of a healthy adult holds between 2 and 6 pounds of beneficial bacteria. These microorganisms outnumber our own cells 10 to 1. Robust gut flora prohibits pathogenic bacteria from proliferating, and keep us from getting sick. Lifestyle choices can have a big impact on this bacterial colony. Frequent antibiotic consumption can deplete immune function, but a good diet can help replenish our protection. Fermentation is a method of food preservation found in traditional cultures around the globe. Although the practice has faded with the advent of modern refrigeration and mass food production, today traditionally fermented foods are seeing a comeback. According to Sandor Katz, author of Wild Fermentation: The Flavor, Nutrition, and Craft of Live-Culture Foods,” the key to healthy gut flora are bacteria rich foods, such as yogurt, sauerkraut, and kim chi. Despite being HIV positive for over 15 years, Katz says he rarely gets sick. 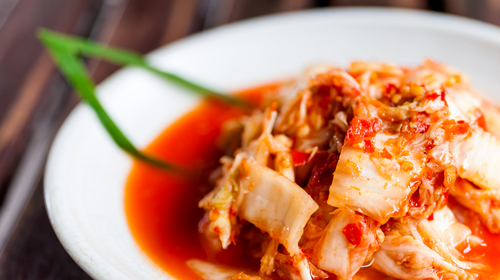 He attributes his good health to several factors, including frequent consumption of fermented foods. “My experience bears out what the literature has been telling me: that thriving communities of biodiverse bacteria in the intestines are what enable our immune systems to function well,” Katz told the Epoch Times. While daily probiotic supplementation can be similarly beneficial, pulling from a variety bacterial sources may be more effective. In his book, Katz cites a 2006 study examining fermented foods and immune health. Researchers looked at individuals who ate many kinds of fermented foods, such as olives, salami, pickles, and cheese. After recording a baseline for immune function, subjects were placed on a diet without fermented foods and immunity markers plummeted. Then researchers fed one group regular yogurt, and another probiotic enhanced yogurt. The probiotic group did a bit better, but it wasn’t until subjects were allowed to resume their normal diets with varied fermented foods and beverages that the highest levels of immune function returned. “How I interpret that data is that diversity is its own reward,” Katz said. Echinacea, Elderberry, and Garlic have all earned good reputations as immune boosting herbs. While we may only consider these herbs when we have an infection, they have more value as a preventative. This is especially true of Echinacea, which has been shown to promote white blood cell production, including macrophages, and natural killer cells. 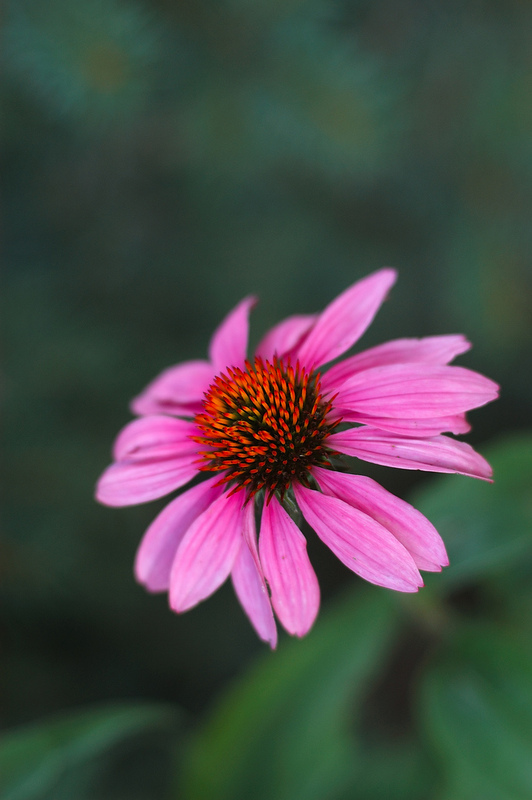 Don’t worry about taking Echinacea too frequently. Although many people believe that you can develop a tolerance, according to renowned herb researcher Kerry Bone this myth emerges from a poor interpretation of the literature. Bone credits his good health to daily Echinacea consumption. Chinese herbs such as ginseng and astragulas have been used traditionally to bring vigor to the weak and tired. These sweet roots have also been shown to strengthen immune function, but they must be taken appropriately. According to the principles of ancient Chinese medicine, tonic herbs such as these are contraindicated during an active infection, when herbs such as andographis, isatis, and honeysuckle make a much better choice. Ancient Chinese medicine lacks a single concept that completely parallels what modern medicine recognizes as the immune system, but it does have some corresponding features. For example, the classic herbal formula Jade Windscreen—a name which suggests a protective shield—is for people who are susceptible to recurring respiratory infections. Ingredients include astragulas, cinnamon, and black Chinese date. Dark mushrooms such as Shitake and Maitake have immune strengthening reputations. But the most esteemed and coveted of these medicinal mushrooms is Reishi. Reishi won’t win any points for taste (it’s tough and bitter) but its health promoting properties are legendary. 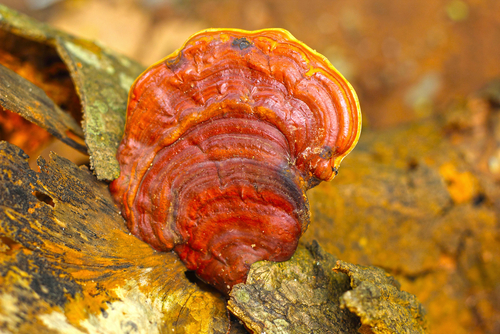 This dark red fungus has enjoyed a long history as a top shelf longevity tonic. The Chinese call it Ling zhi (spirit plant). The Japanese government has officially recognized reishi as a reliable cancer treatment, and the fungus has been shown clinically to stabilize immunoglobulin levels and restore the liver in hepatitis patients. Reishi was once so rare that it was reserved for royalty, but modern cultivation methods have been able to ensure a reliable reishi supply thanks to Shigeaki Mori, who spent 15 years developing a method of culturing reishi spores on plum tree sawdust. A stylized reishi shape is found on numerous temples and homes throughout Far East Asia. This design motif serves as a form of protection from evil spirits. Regular hand washing is essential for good health—especially in a contaminated or clinical setting. But sometimes we can go too far. Consider the hygiene hypothesis: an idea that society’s increasingly sterile standards have actually weakened our immune systems. While modern advances have managed to limit the spread of infections it has also kept our immunity from experiencing minor pathogens, giving rise to autoimmune and allergic diseases. The controversial chemical triclosan is a prime example of the damage from hyper-vigilant hygiene. Triclosan is pervasive. The chemical is found in scores of antibacterial soaps and other products, but has been linked to a number of health problems with evidence pointing toward endocrine disorders. Researchers also suggest excess rampant triclosan use has also given rise to antibiotic resistance. Adequate rest and relaxation is vital to maintaining immunity. Several studies have shown that prolonged stress and chronic sleep deprivation can compromise the immune system, but even a single all-nighter may weaken our innate defenses. In one study published in the June 2012 edition of the Journal SLEEP, a team of scientists from the Netherlands and United Kingdom monitored 15 healthy young adult males. White blood cells were evaluated after a period where subjects received eight hours of sleep every day for a week, and again after subjects were kept awake for 29 hours straight. White blood cell counts spiked. Particularly pronounced was the rise in granulocytes—a type of white blood cell that consumes invading microorganisms. Researchers found that the loss of one night of sleep mirrored the same surge as our fight or flight response. The study suggests that prolonged sleep deprivation can waste our immunity resources, leaving us with compromised protection when pathogens strike. These foods just may be the cheapest and best form of healthcare. As with all other organs and systems in the body, a newborn is not born with a fully developed immune system at birth. These herbs are readily available in most health food stores, and all of them can be grown in your kitchen garden for pennies.